Right Angle and SPDT, the MS1247 Series sub-miniature slide switch is through-hole termination with multiple actuator length options and steel housing. 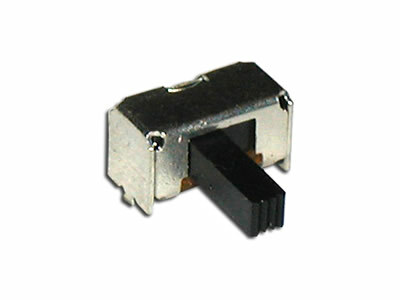 This right angle switch features PC pin terminals and a 10,000 cycle electrical life. The contacts are made of silver-plated phosphor bronze and the terminals are made with silver-plated brass. We offer this switch with 2.0mm, 4.0mm, 6.0mm actuator lengths.